What do you do when you have down time at work? Enterprise Exploration: I am always learning about new products and services that are offered by my company outside of the products that I work on. It helps me understand the broader ecosystem of my company and our industry. 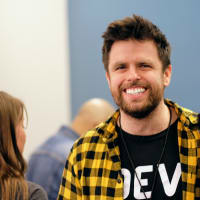 My top one lately is reading posts here on dev.to! Well played :). Do you have any threads you recommend?